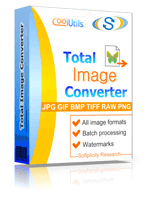 These are only a few of available formats for conversion, as Total Image Converter supports about 30 formats, including specific graphic file types for different devices like Apple or Palm gadgets. 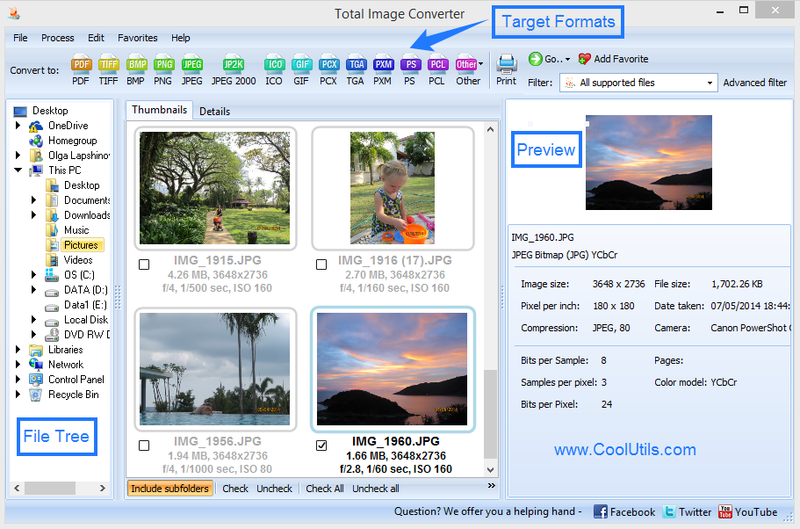 Working with this converter, you don’t even need to upload pictures from your camera memory to PC hard drive. Just connect a camera to your computer and get the source files right from it. If you need to process lots of files, you can convert RAW photos in batch, i.e. all files with one single conversion cycle. Just check the whole file folder or all range of required files in the list and make the settings once for all of them. 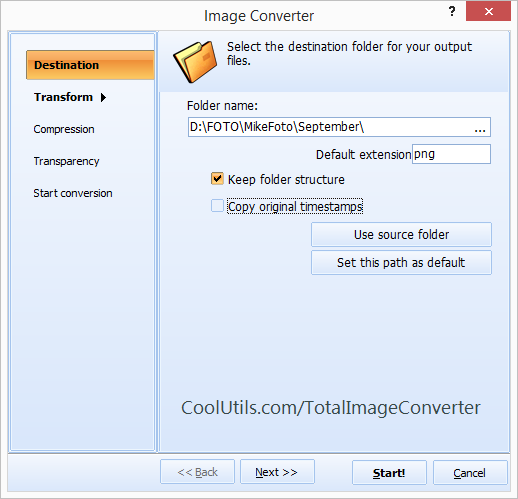 Total Image Converter supports folders as sources, that means you can put all files for conversion in one folder and specify it as a source. This saves time, preventing you from manual checking up each file. The program can convert RAW files from the command line too. Using this conversion mode is equal to GUI in functionality, the difference is only in the manner of setting parameters – you specify all required settings in text command. 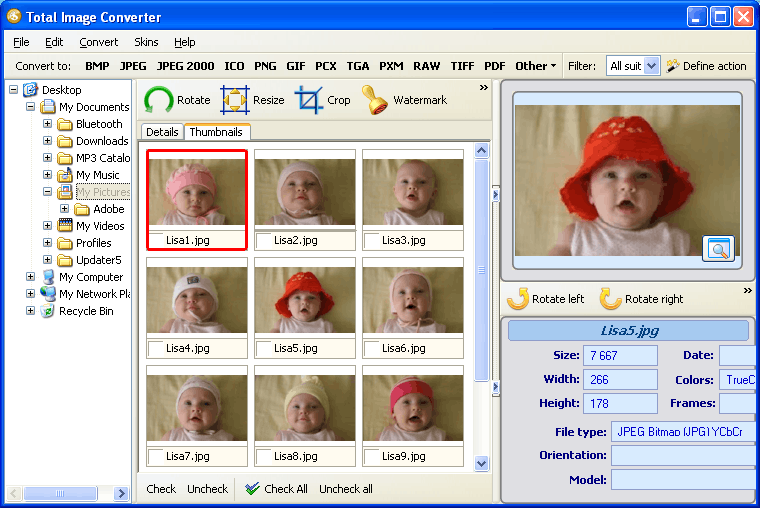 Buying this RAW Converter, you get both GUI and command line versions, so it is up to you to choose the handiest way. Convert RAW to TGA in batch easily! Convert RAW to GIF in batch efficiently. Convert RAW to TIFF automatically.